Withdrawing savings from an IRA is one option to pay for college tuition. But is it a good idea? 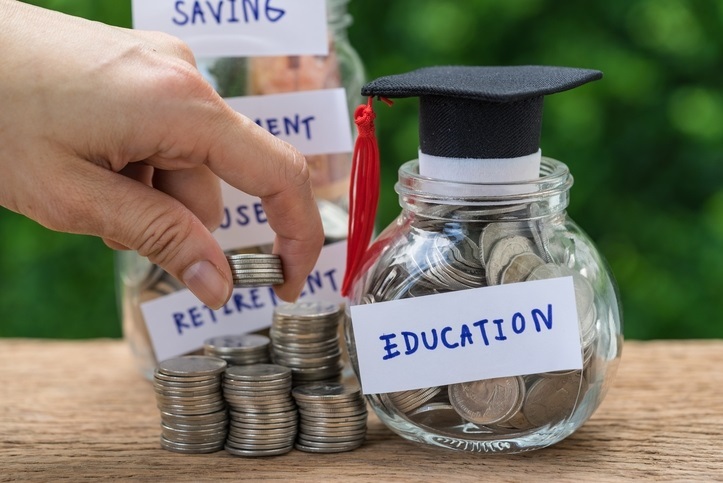 Are you faced with the dilemma of having to save for your own retirement while at the same time trying to put money aside to fund your child’s college education? How do you juggle these two goals? How do you determine which is more important, or what path to take? Rest assured you are not alone in this problem. How many years until you retire?How much do you expect to receive in Social Security benefits?How much income do you hope to have in retirement?How many years until your child starts college?Will your child be attending public or private college (and what’s the expected cost)?Do you anticipate your child will qualify for financial aid? If you’ve run the numbers on both your anticipated retirement and college expenses and come up short, what do you do? It’s time to sit down with me and make some tough decisions about your expectations and, ultimately, what you can do to compromise. Realistically, while college is certainly an important goal, you should probably focus on your retirement if you have limited funds (and, if you wait to start saving until your child is in college, you’ll miss out on years of tax-deferred growth and compounding of your money). Remember, your child can take out a loan (or maybe even receive a scholarship) to attend college, but there is no such thing as a retirement loan! While it’s true that retirement accounts can be used to save for college, there may be negative consequences to doing so. It’s best to meet with me to determine the appropriate course of action, and to make sure you’re on track to meet your goals. I encourage you to call me today at 952-767-3494 so that we can assess your personal situation and develop a strategy designed to help you meet your future financial needs. I look forward to assisting you.